Chris Paul is absolutely one of the quickest basketball player not only in the NBA but worldwide. 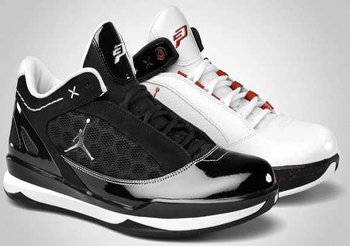 With his quick first step and tremendous speed, Jordan Brand decided to a new signature shoe for Paul, called CP 2’Quick. The CP 2’Quick will be making its debut this September and will come out in two simple yet elegant colourways – the Black/Metallic Silver and White/Varsity Red – Black. This shoe is obviously made for speedster so expect that this shoe is lighter than ever, giving you comfort while also getting attention because of its look and the fact that it is a signature shoe of one of the best players in the world right now. Watch out for its release anytime this September! Jordan Alpha 3% Making Its Debut This July!